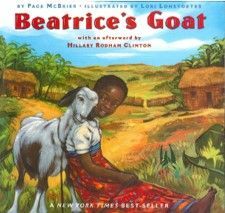 In this lesson from the Federal Reserve Bank of St. Louis, students listen to a story about Beatrice, a little girl from Uganda, who receives a goat and the impact of that goat on her family. They learn what it means to save and use estimation to decide whether or not people have enough money to reach a savings goal. They also work through a set of problems requiring that they identify how much additional money people must save to reach their goals. Students learn what opportunity cost is and identify the opportunity costs of savings decisions made by Beatrice and her family.